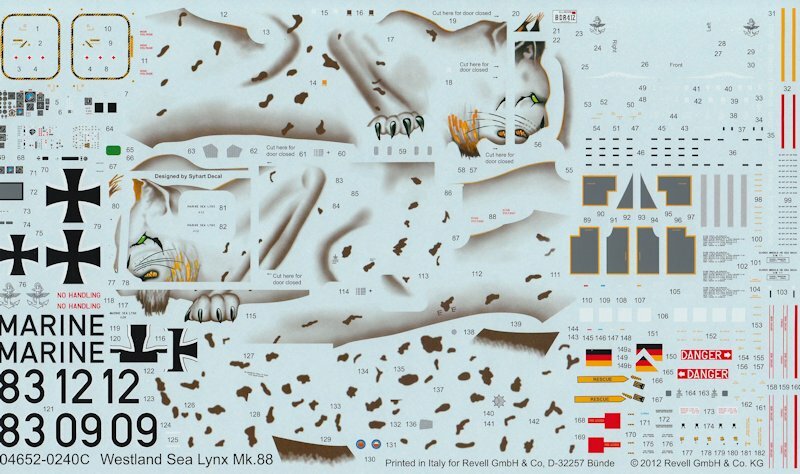 The Modelling News: The big cat from Revell gets a thorough pawing over.. 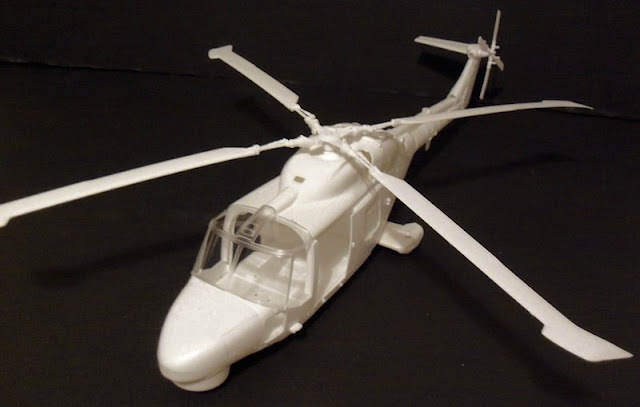 The British designed Lynx light weight battle field attack and multi-purpose helicopter is a highly successful aircraft that had its origins back in the 1960’s (under the guise of the WG.13) as a replacement for the British Army Westland Scout and Royal Navy Westland Wasp helicopters. 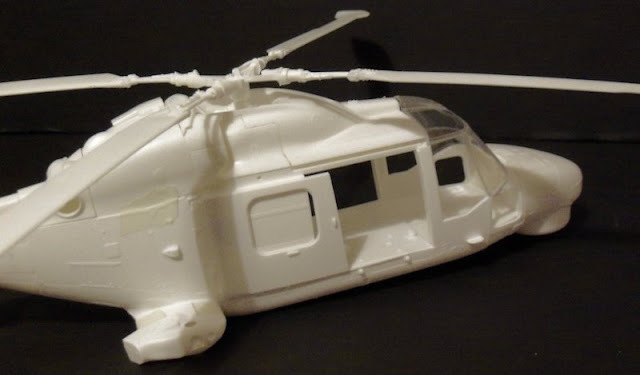 The prototype Westland Lynx first flew on the 21 March 1971. The initial British Army version of the Lynx was the AH.Mk.1 and that for the Royal Navy was the HAS.Mk.2 (first flown in November 1972). The Lynx has been developed through successive up-grades and variants and is currently in service with the British Army Air Corpse (AAC) and Royal Navy Fleet Air Arm (FAA) as the Mark AH.Mk.7 and HMA.Mk.8 respectively. The company owned Lynx aircraft (modified) broke the helicopter world speed record over several distances during 1972, attaining the highest speed of 199.92 mph (321.74 Kph). 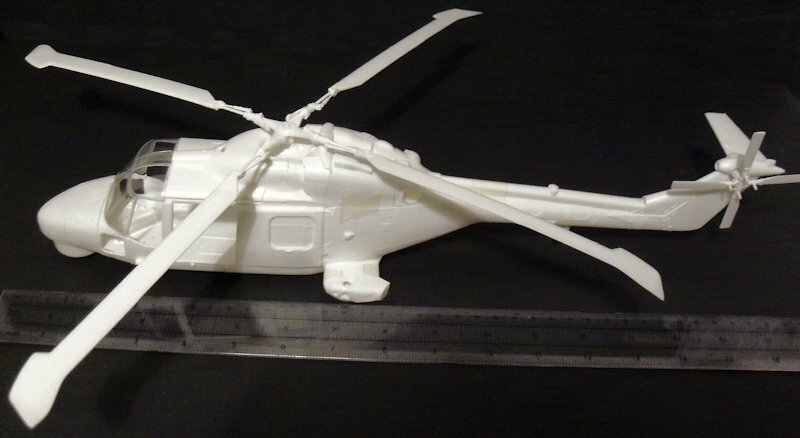 On the 26 August 1986 another company owned Lynx helicopter (G-LYNX) was again specially modified (up-rated Gem 60 engines and new BERP (British Experimental Rotor Programme) composite rotor blades) once more broke the absolute helicopter high speed record over a 15 and 25 Km course reaching a top speed of 249.09 mph (400.87Kph) – a record which it still holds to this day. 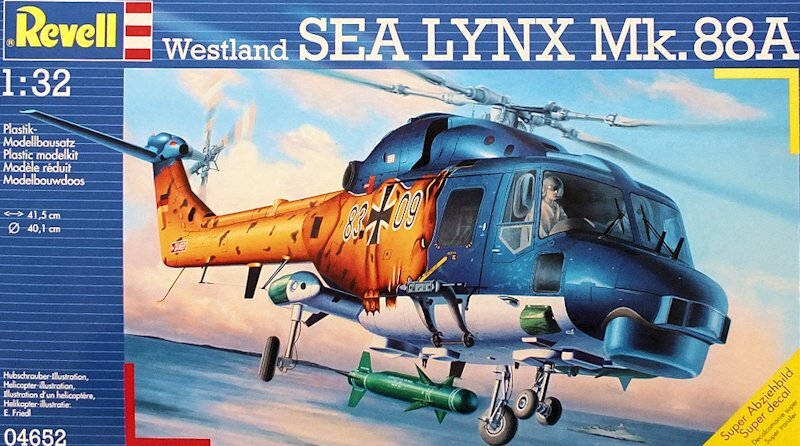 Westland has exported various marks of Lynx helicopter to at least 22 customers world-wide over the years, and more are on order. 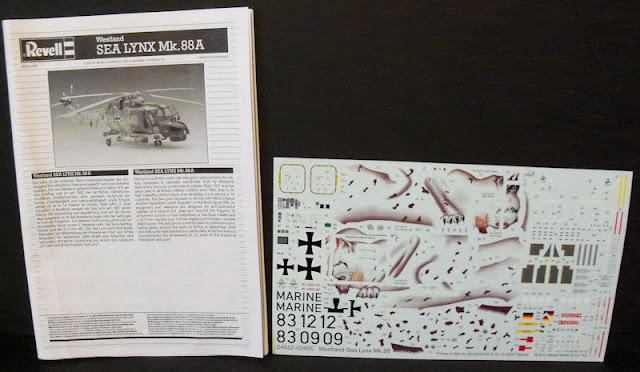 The subject matter of this kit and review is the Sea Lynx Mk.88A operated by the German Navy (Bundesmarine) MFG-3 (Marineflieger-3), based at the Naval Air Division at Nordholz in Germany. 19 Sea Lynx Mk.88 aircraft were originally delivered to the Bundesmarine Marineflieger, in three batches, between 1979 and 1985. During operational service with MFG-3, four aircraft were lost. 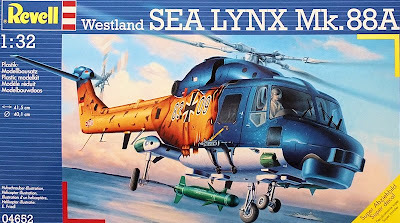 Between 1998 and 2001, seven new Sea Lynx aircraft were ordered and delivered to the upgraded Sea Lynx Mk.88A standard (Gem 42 engines, under-nose radome with 360° Marconi Sea Spray 3000 traverse radar and Forward Looking Infra-Red (FLIR) above the nose, Bendix dipping sonar and Mk.4A1 and Mk.46 torpedo). 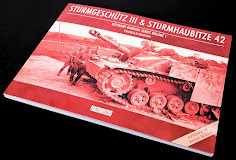 The older Mk.88 variants have now been upgraded to Mk.88A standard. ASuW takes on a more prominent role with German navy, the Mk.88A Sea Lynx are able to utilise the Sea Skua missile in addition to a flexible mounted .50” FN Herstal M3M machine gun. This review is very much an ‘out of the box’ first impression review, so, to that end, what do we get in the box? 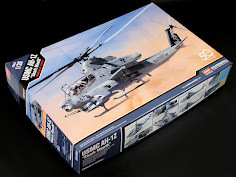 The kit comes in the usual large and sturdy Revell box. 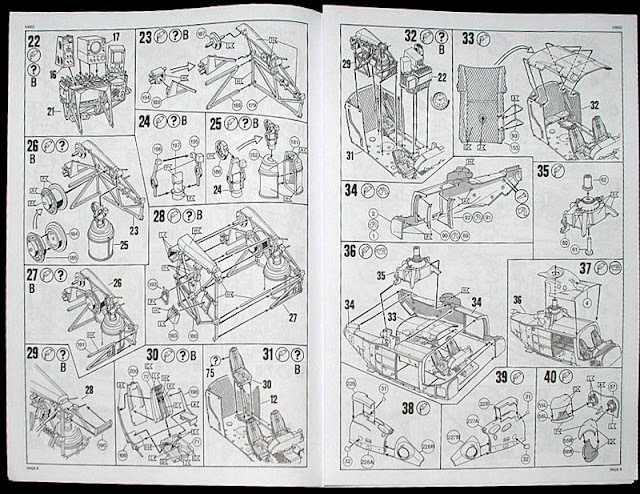 On opening, there is a 10 page instruction booklet in the now familiar Revell style, a very large, colourful and very comprehensive decal sheet and four separate polythene bags containing a number of white plastic sprue parts. 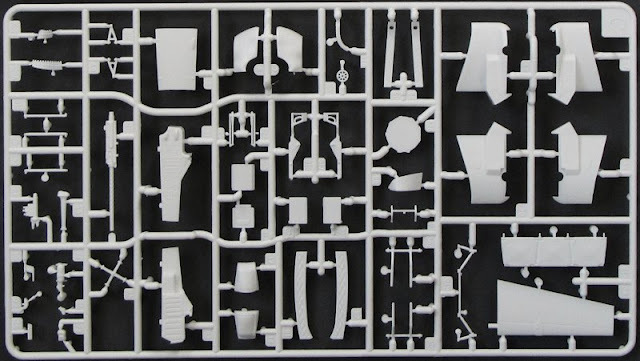 Once unbagged, it can be seen that there are a total of 18 sprues (15 white plastic sprues and 3 clear transparency sprues). 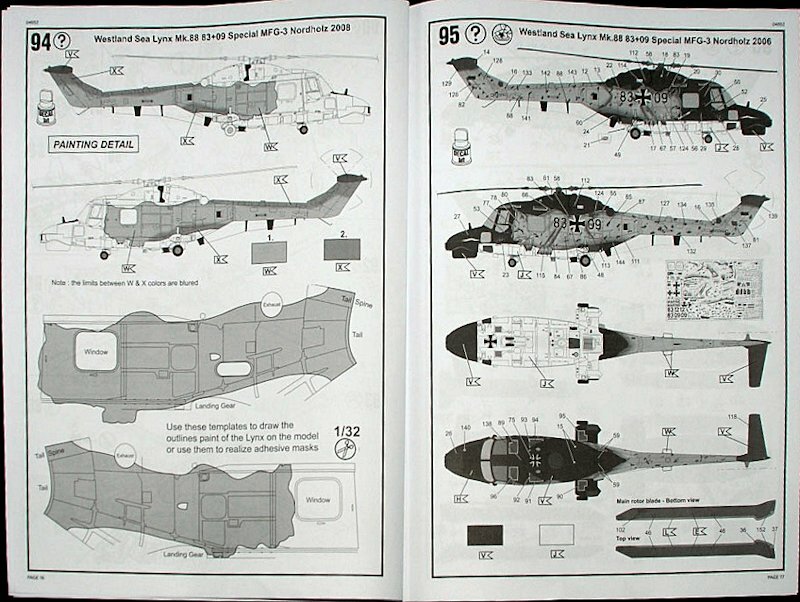 The instruction sheet gives you a choice of modelling one of two Sea Lynx Mk.88A aircraft options (both for MFG-3 aircraft based at Nordholz). The first one (option ‘A’) is for 83+09, 2006, which is finished in a very colourful and attractive special ’25 Years of the ship-borne helicopter Lynx’ scheme and this aircraft is completed in the ‘Standard’ aircraft role configuration. 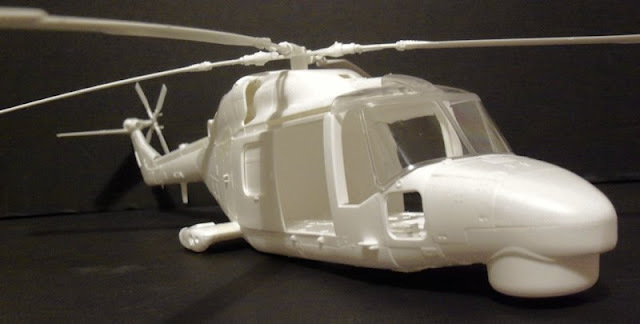 The second option (‘B’) is for the ‘sonar’ configured variant of the Sea Lynx Mk.88A aircraft (83+12), and is finished in the standard colour scheme for this type as seen in 2010. In addition to the above two aircraft options, the kit includes parts for the optional installation of a flexible mounted .50” FN Herstal M3M machine gun. 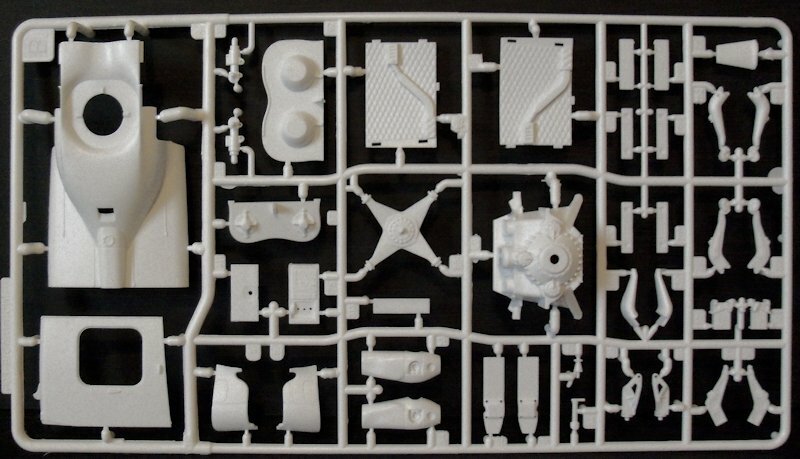 Of the 15 supplied white plastic sprues (which are lettered ‘A’ to ‘R’ on the sprues themselves, but not in the instruction booklet), only 13 of them are used in the kit (sprues ‘K’ and ‘Q’ are not used – more of this later). 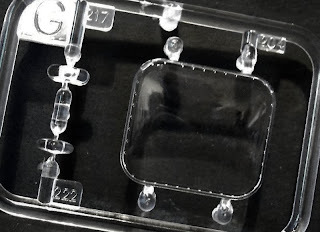 Likewise with the clear transparency sprues, only ‘G’, ‘H’ and ‘I’ are used (‘J’ is not). 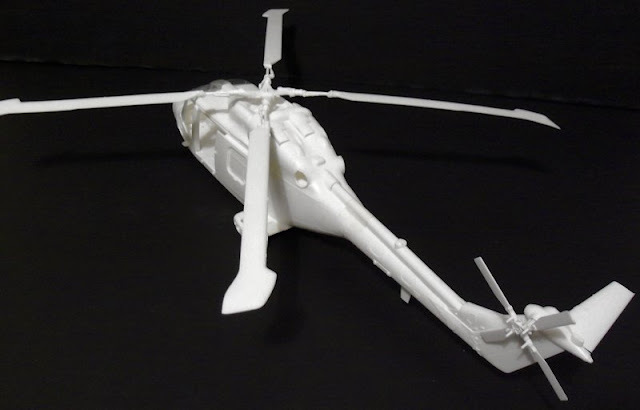 Sprue ‘Q’ contains the foldable tail parts as used on the Royal Navy HMA.Mk.8 Lynx aircraft, as well as the nose mounted FLIR equipment. 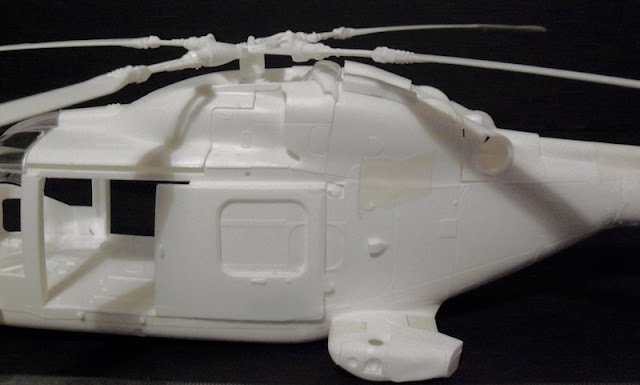 Some German Navy Sea Lynx Mk.88A aircraft utilise this FLIR nose, so although not required for the kit options, it could will be used to produce a different Sea Lynx Mk.88A variant. 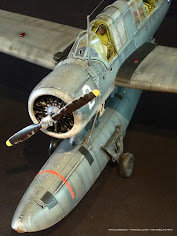 The full size airframe skins are not flush riveted, but are attached with light weight domed head rivets that stand proud of the aircraft skin. For some modellers, this appears to be something of a bone of contention as far as this particular kit is concerned and some feel that it is marred because of the lack of such rivet detail. 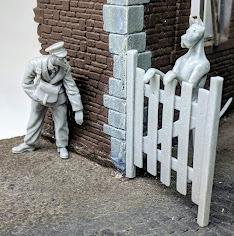 For me, external rivet detail is very much a personal preference that the modeller can either choose to live with or not. 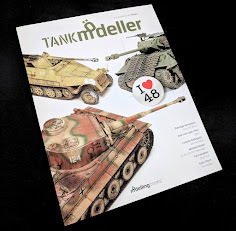 The model kit under review does not exhibit or feature any rivet detail at all. 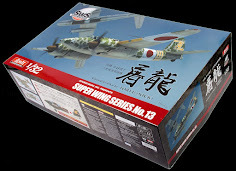 The kit surface is generally smooth and is only broken by engraved panel lines and raised airframe doubler skin strengthening plates. 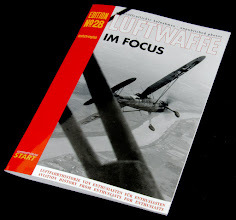 Something may be worthwhile considering here should modellers wish to add external raised rivet detail to this (or any other 1/32) kit; the average aircraft standard solid rivet head diameter is either ¼” (6.35mm) or 3/16” (4.7625mm). 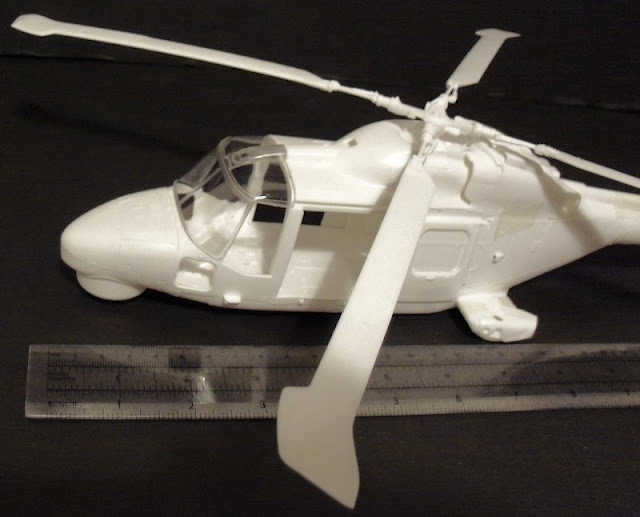 In 1/32 scale, this equates to 0.198mm or 0.148mm respectively. 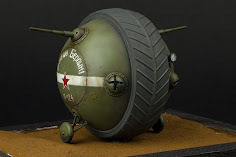 This means that in average, the diameter of the rivet head – on a 1/32 scale model – would need to be approximately 0.2mm (or less) to look correct in scale. 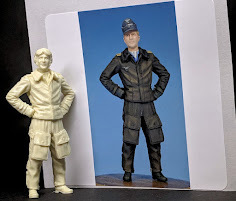 So, perhaps the very finest 1/72 raised rivet head detail may just passed muster on a 1/32 scale model for scale riveting, but it would be very easy to go over-scale if you are not very careful. 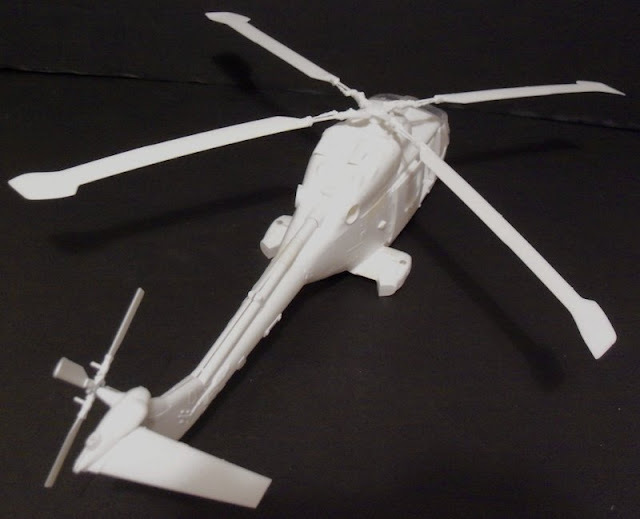 Although this is essentially an OOB review, I did take the liberty to loosely assemble the major airframe components in order to gain an impression of the feel of the model and carry out an initial parts fit assessment. 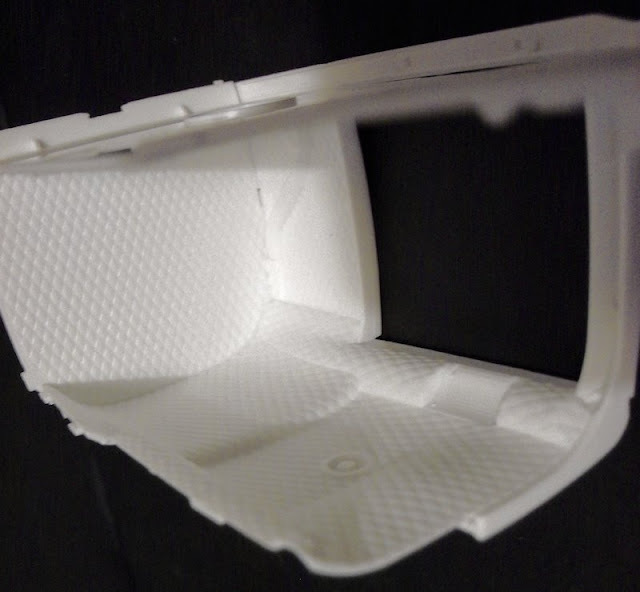 The first thing I noticed was the very nice fit and design of the cabin interior parts. 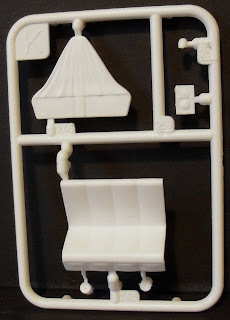 Revell have obviously spent a lot of time and effort in designing the interior parts and this shows in the well-engineered fit of these parts. Dry assembling the remainder of the parts was found to be straight forward. 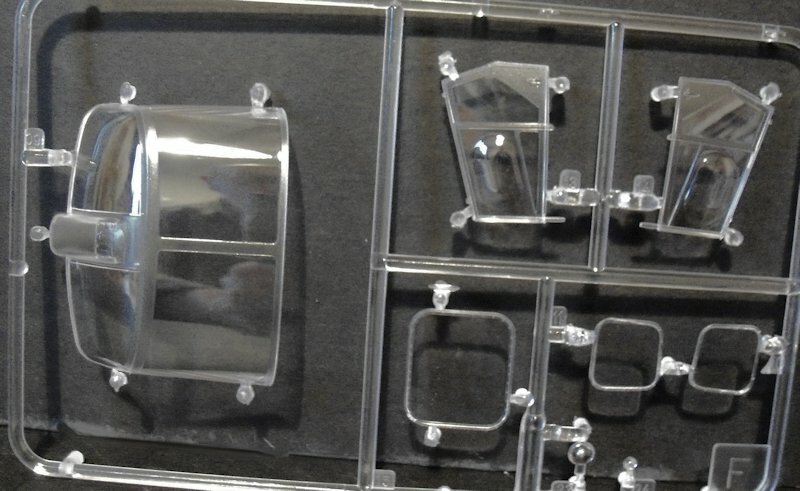 The engine cowls appear to me to have been somewhat over-engineered in terms of number of parts and fit. 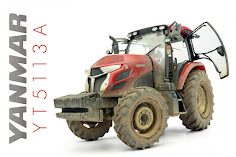 Considering how many separate parts there are here, the fit is good (we are not talking Tamiya precision here, but nonetheless, it is still very acceptable). 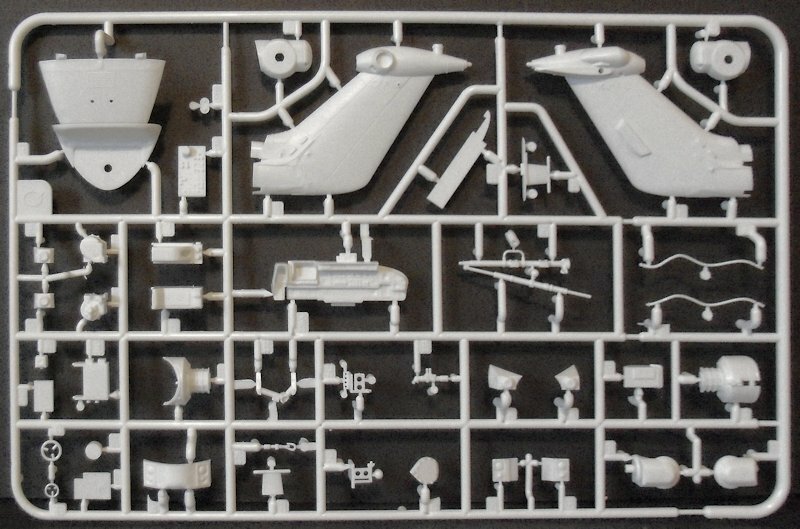 The up-side to all of those separate panels is that those modellers amongst us who love super-detailing will find ample opportunity to open these panels (as they appear to be broken down into parts that probably replicate the full size aircraft) and create some stunning internal artwork if they so desire. 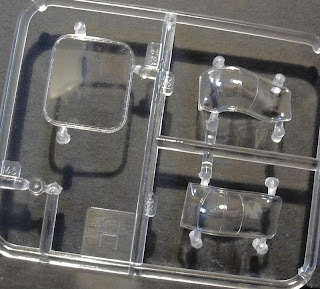 No attempt had been made to assemble any of the kit interior details. 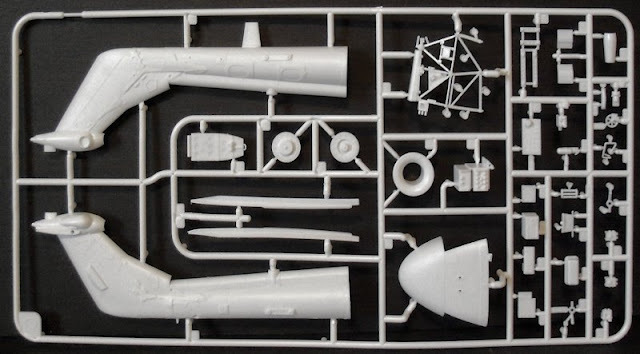 Given that this kit has in excess of 300 parts – most of which are for internal details – it will not be surprising to realise that this is where the bulk of the kit building effort will be required. 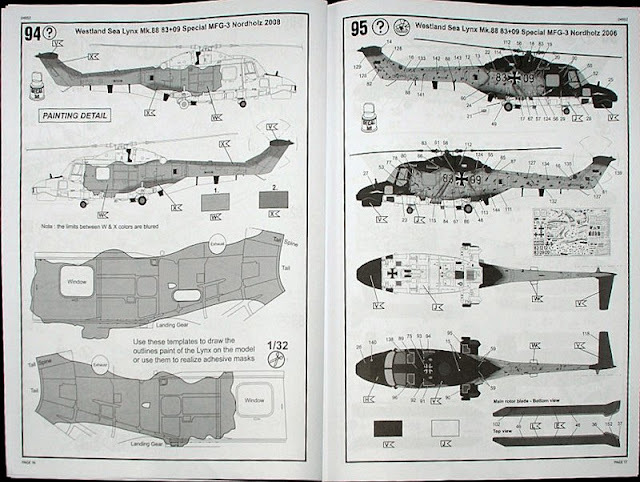 You have to decide if you wish to build a ‘standard’ Mk.88A aircraft (kit option ‘A’) or a ‘Sonar’ Mk.88A aircraft (kit option ‘B’) before you begin any construction. 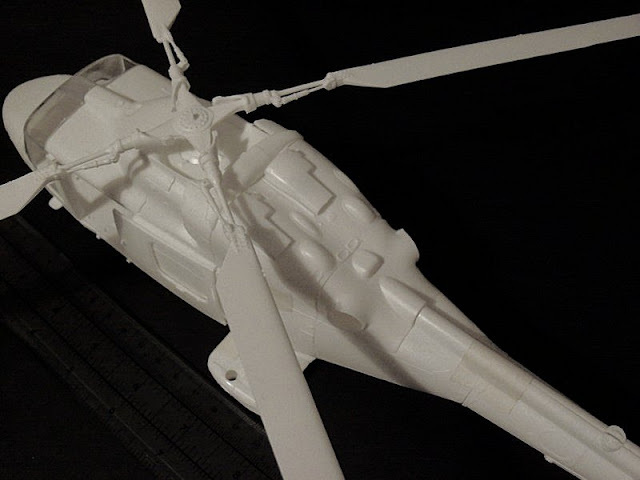 On top of this is an additional option to install a 0.5” machine gun. 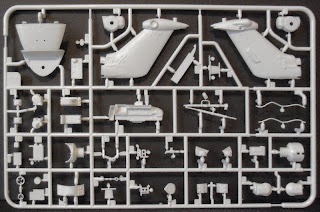 Given the complexity of the interior detail included within this kit, I would certainly not advise giving it as a present to someone as their very first model (the very reasonable purchase price of this kit may well tempt some to do so). It is important that time is spent studying the instruction booklet very carefully in order to fully understand exactly which parts you need for your chosen variant before you cut and assemble any of the parts (at least dry fit them and familiarise yourself with how and where they go together). 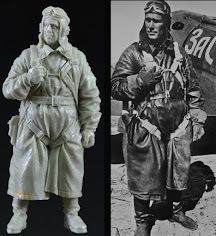 Photographs of the equipment and interior details will also aid you and provide you with an appreciation of how the model parts look in reality. 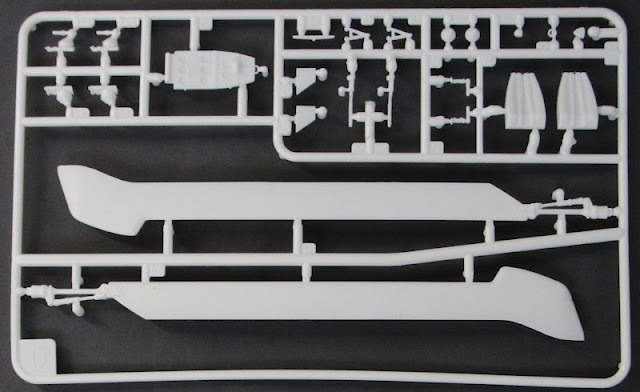 One nice touch by Revell is a full size (1/32) template of the left and right fuselage side areas that require painting orange-yellow for the Option ‘A’ special colour scheme backing for the kit decals. 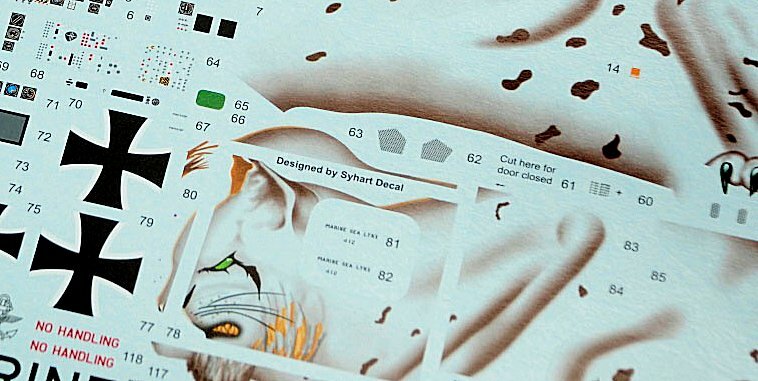 This can be traced and transferred, cut out and drawn around or used to produce a vinyl mask. 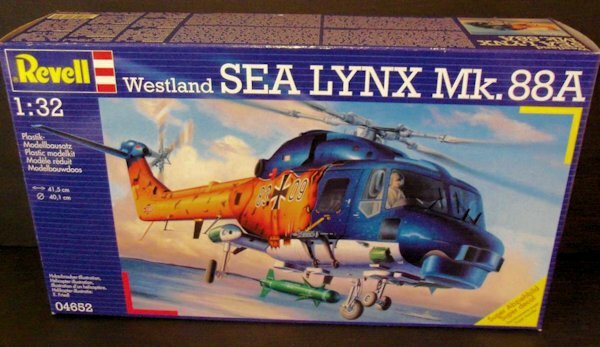 When you see a Lynx aircraft in the flesh and close-up, it does not seem to be an overly large aircraft. 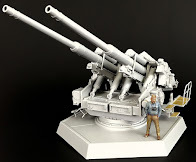 Therefore, when I dry assembled this kit, I did not expect it to be particularly large. I must admit that I was a little surprised to see that it measured nearly 42cm (16.5”) in length once complete, so it is nothing like as small as it would suggest. 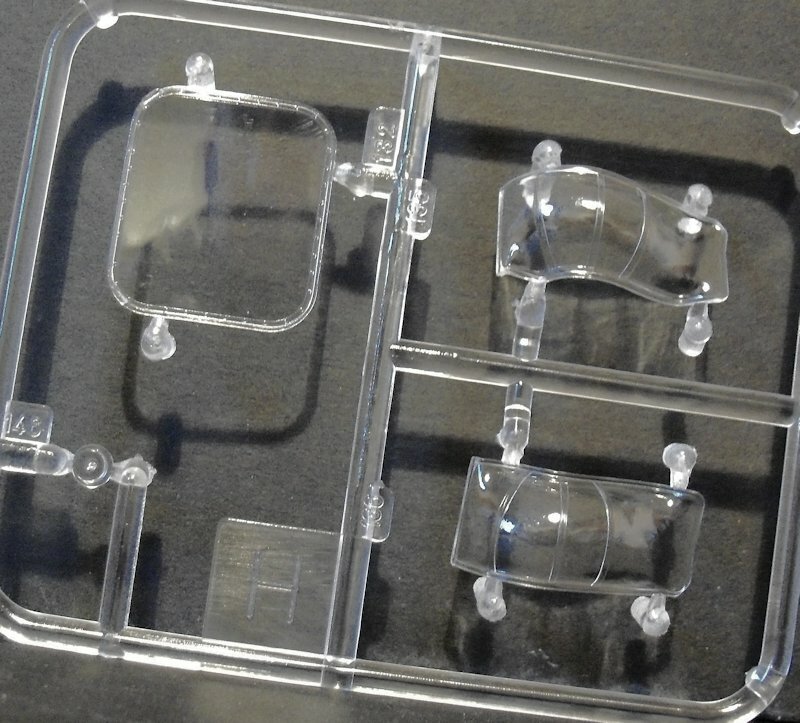 This also means that all of that highly detailed interior shall be very visible through that large clear canopy and open side doors. Initial impression of this kit is that it appears to represent an accurate reproduction of the Sea Lynx Mk.88A very well indeed. 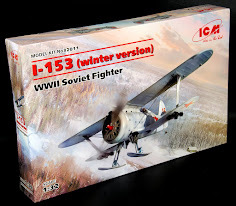 The kit is complex in terms of the amount of internal detail and options provided, so would not make an ideal beginners kit, but would be more suited to those modellers who have perhaps already made one or two similar kits already. 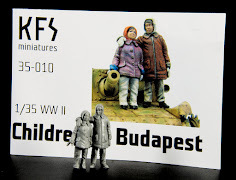 The general level of detail throughout the kit good and is more than adequate in all areas. 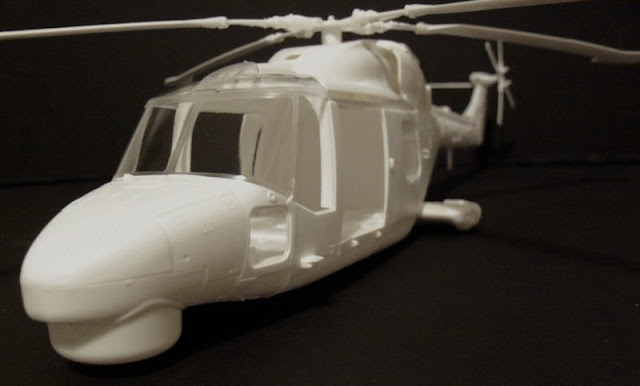 The surface detail of the kit is also good, although the panel lines and skin plating may be a touch on the heavy side. 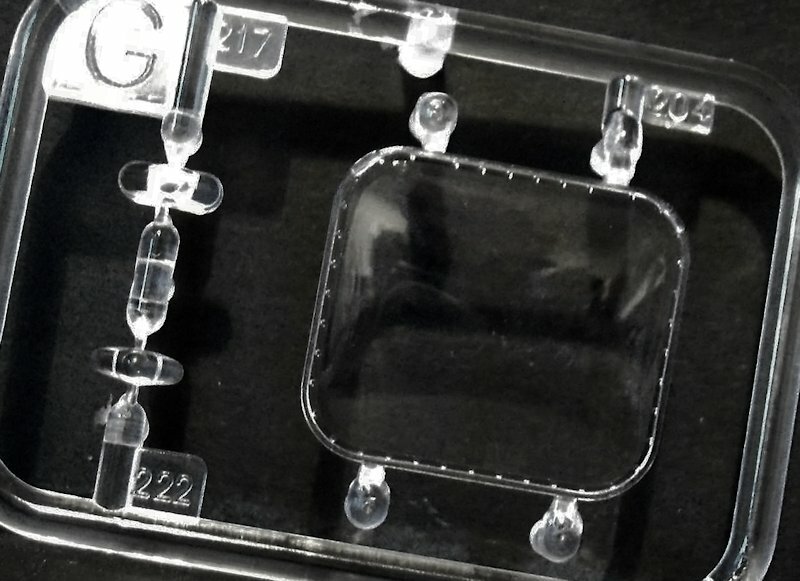 The transparencies fit well and are commendably clear and thin. The decal sheet is excellent and very comprehensive. 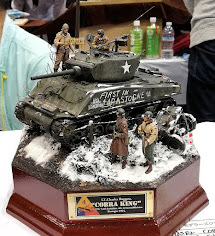 For the super-detailer, there is much scope and opportunity here to produce a stunning award winning model from this kit as the break-down of that kit parts lend themselves to additional detail work. In terms of value for money, it is going to be very difficult to beat the amount of detail packed into this kit for the purchase price being asked for it. 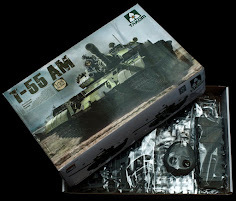 Overall, a very nice kit packed with detail for a more than affordable price, but not one for the beginner – Highly recommended.